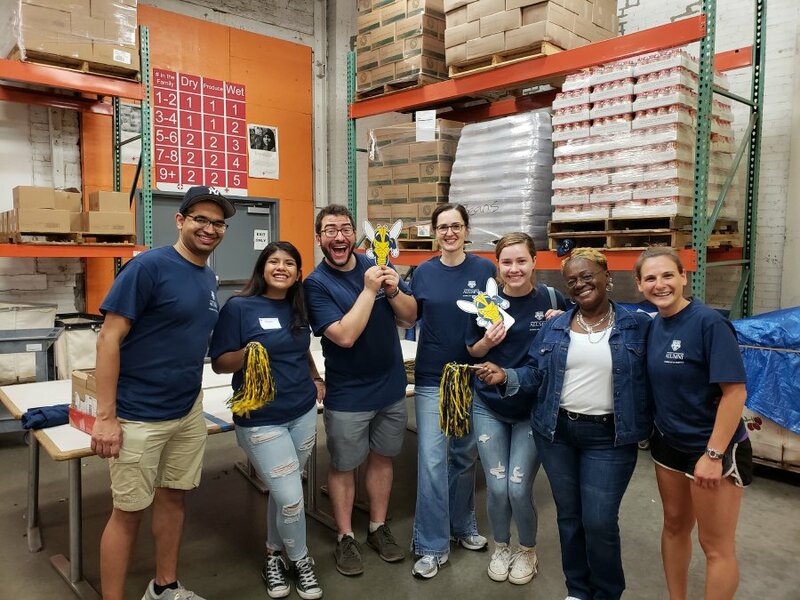 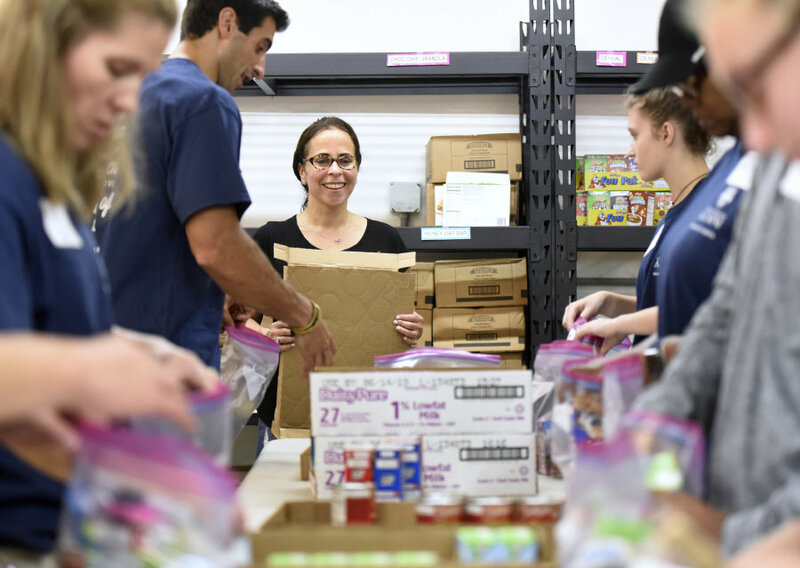 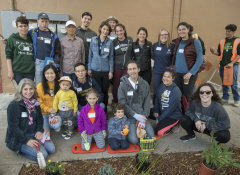 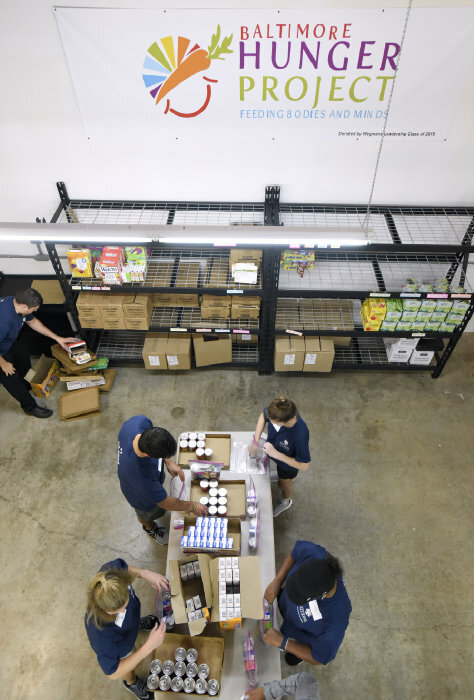 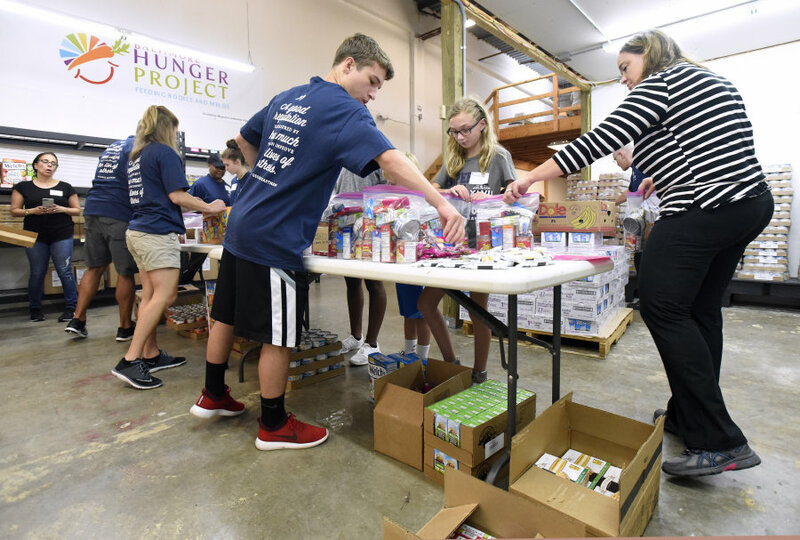 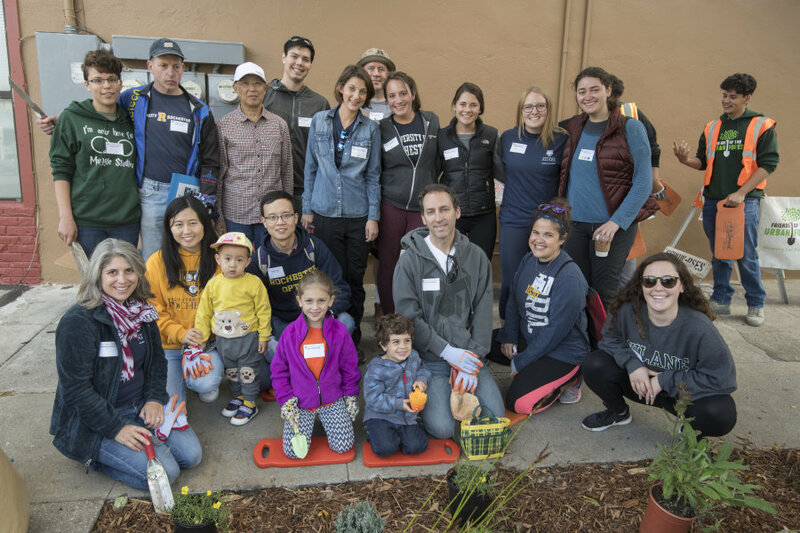 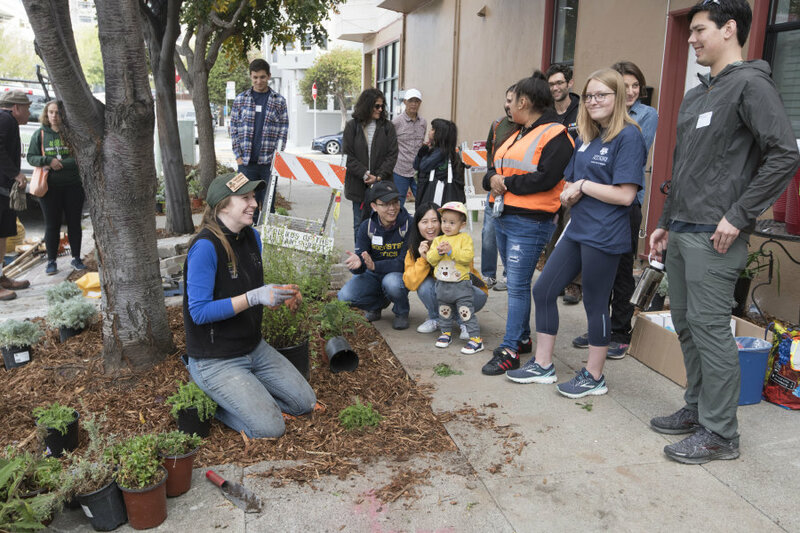 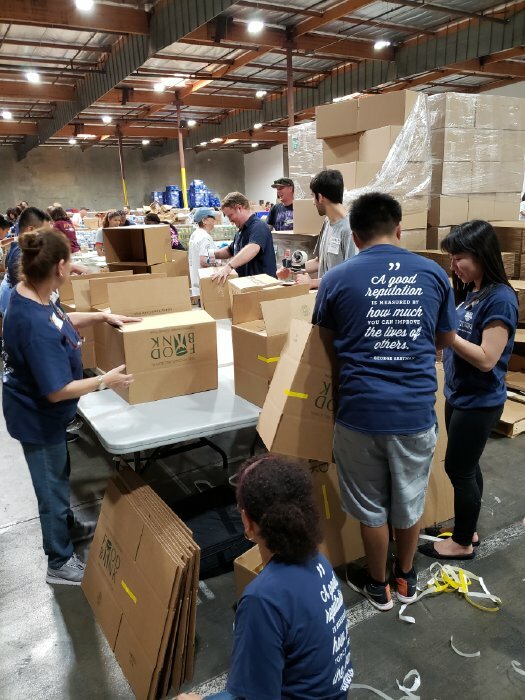 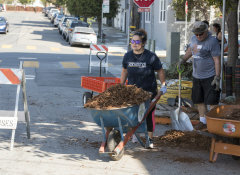 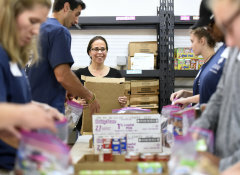 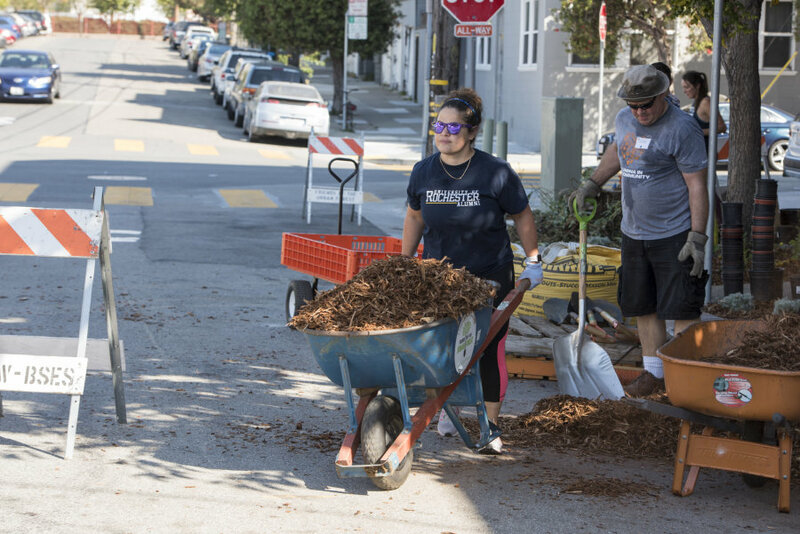 Global Day of Service is an opportunity for University of Rochester alumni, parents, and friends to make a difference in their local communities through a variety of service opportunities led by Rochester volunteers that take place across the country and around the the world. 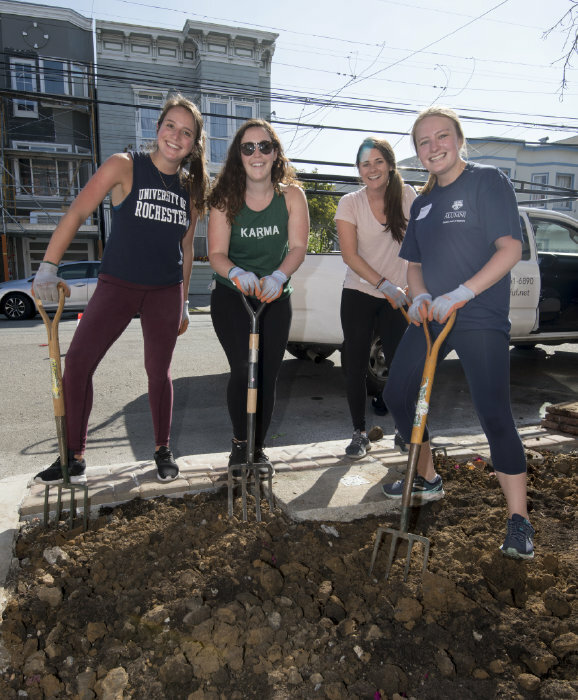 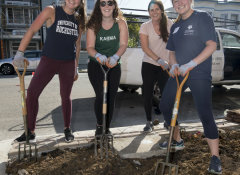 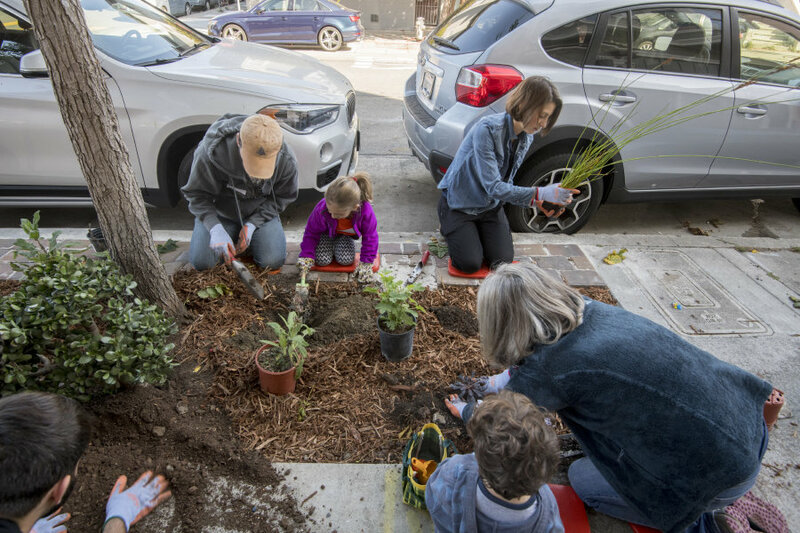 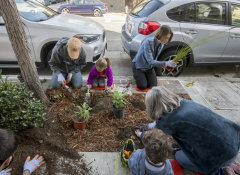 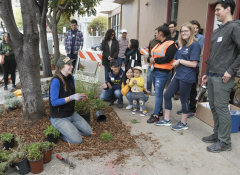 Help us continue the tradition of service at Rochester and strengthen the University’s impact by participating in this worldwide effort to elicit change in your own backyard! 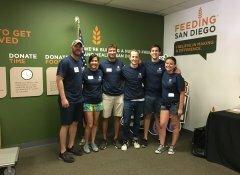 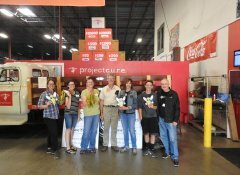 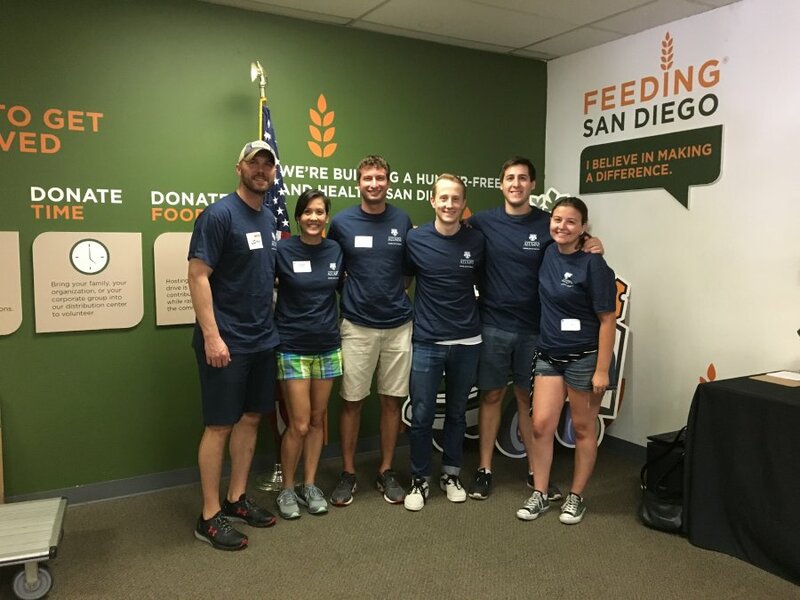 Find a service site, spread the word, and lead a team in giving back. 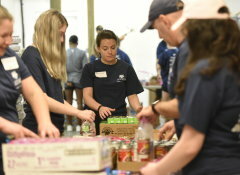 Connect with your local Regional Volunteers and Programs staff member. 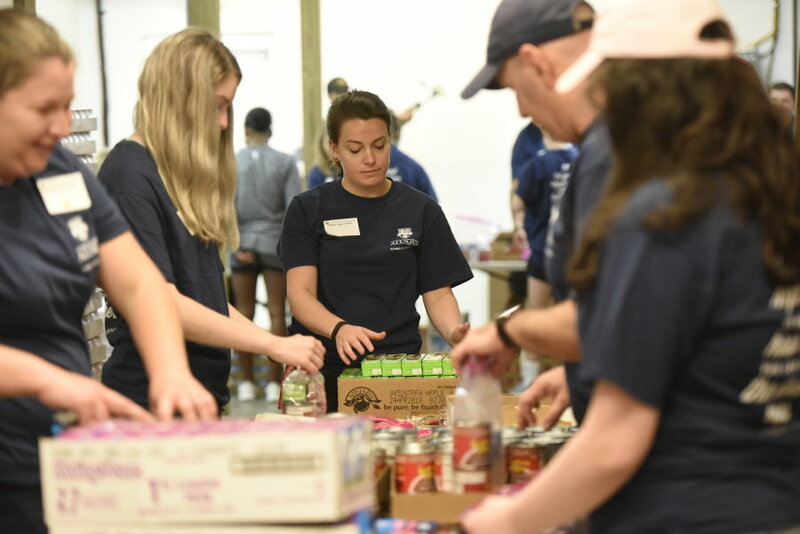 "Giving to one’s community touches so many lives in uncountable ways and provides us with the opportunity to embody the University’s motto of Meliora, in striving for an ever better and complete life. 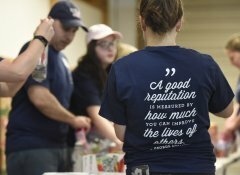 In the words of George Eastman: 'What we do during our working hours determines what we have; what we do in our leisure hours determines what we are.'" 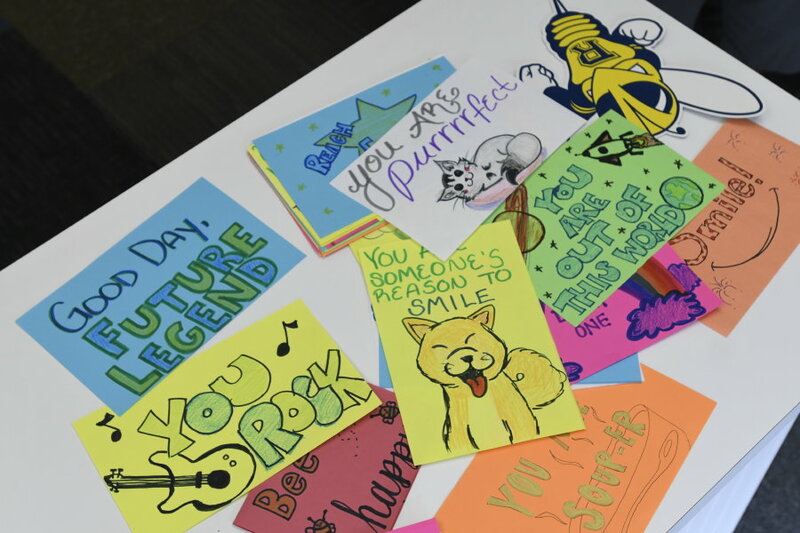 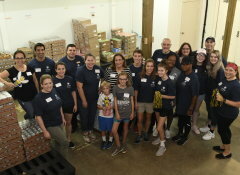 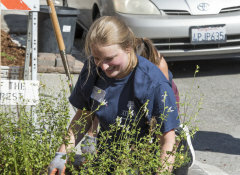 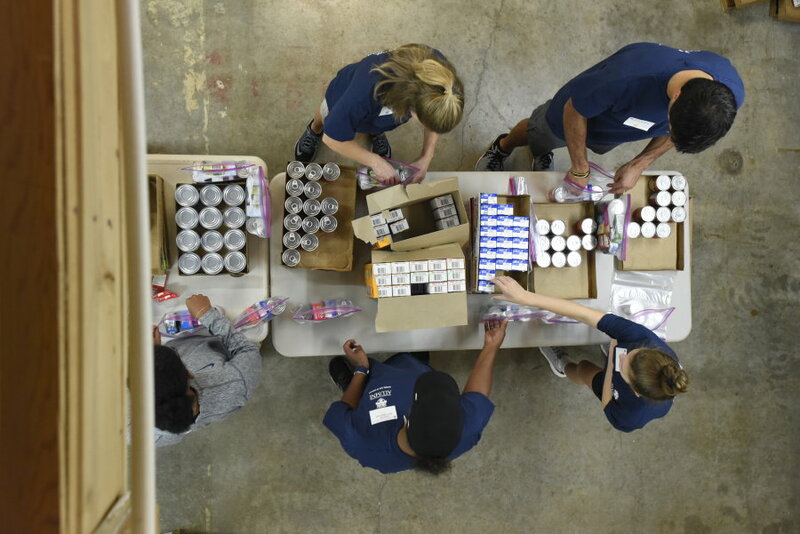 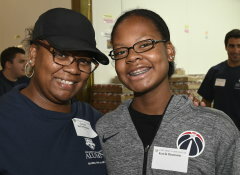 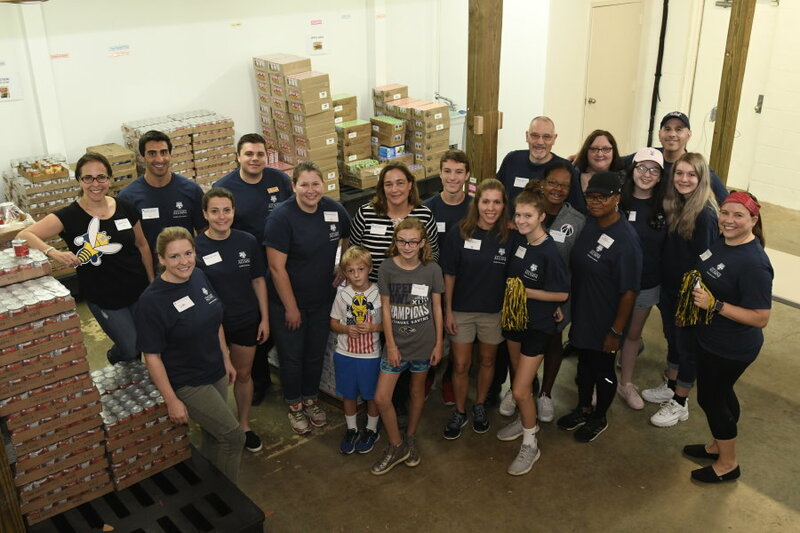 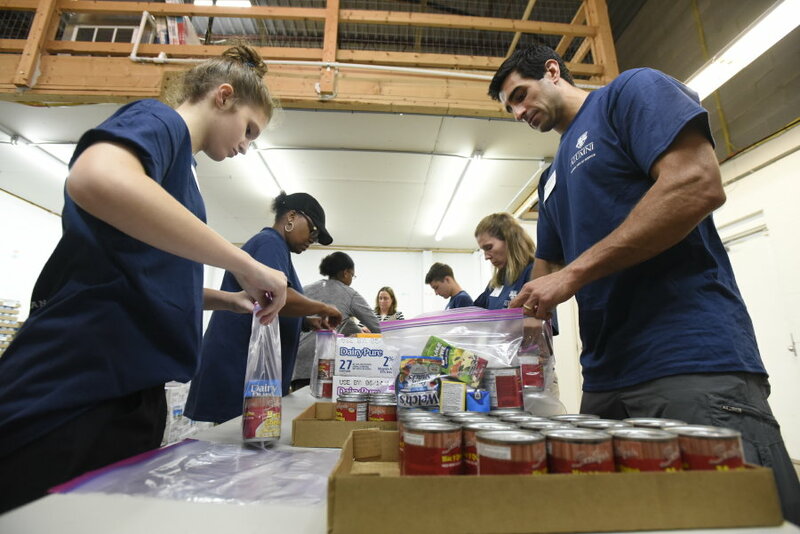 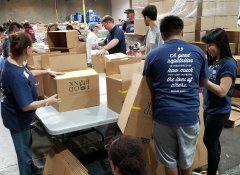 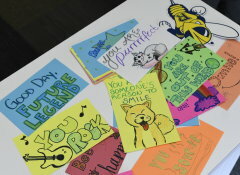 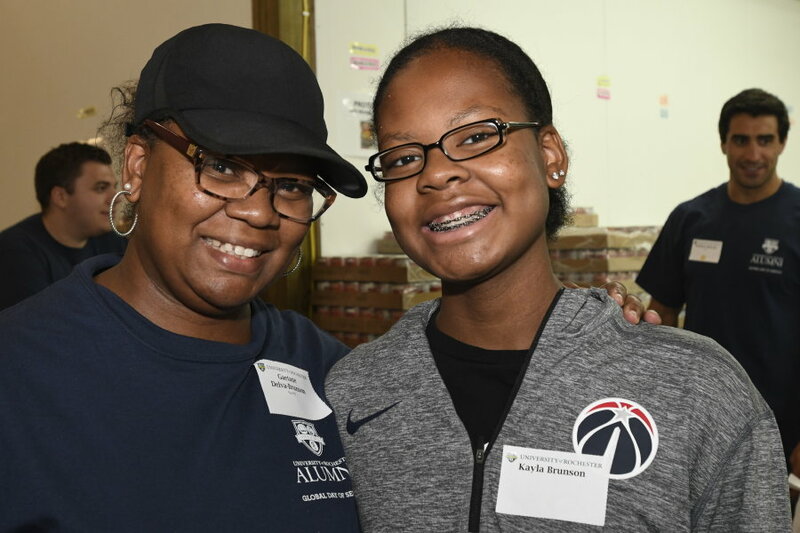 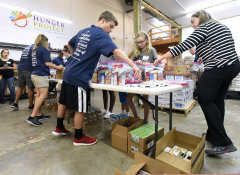 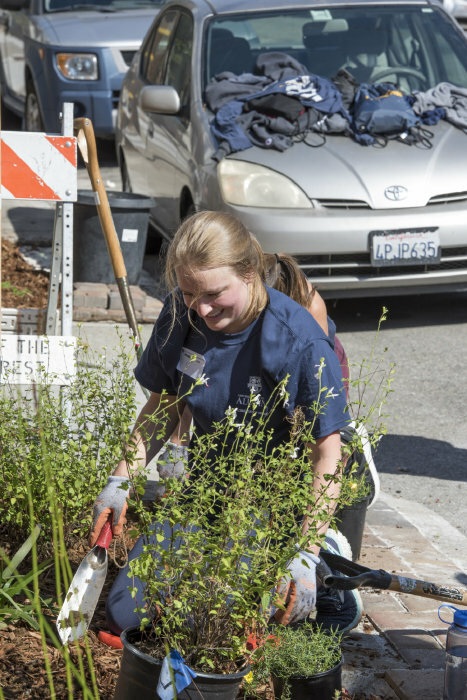 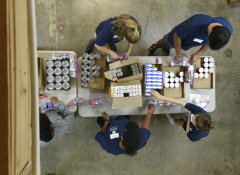 During first-year orientation, undergraduate students at both the River Campus and Eastman School of Music quickly learn the University motto of Meliora, meaning “ever better” through participation in a day of service in the Rochester community. 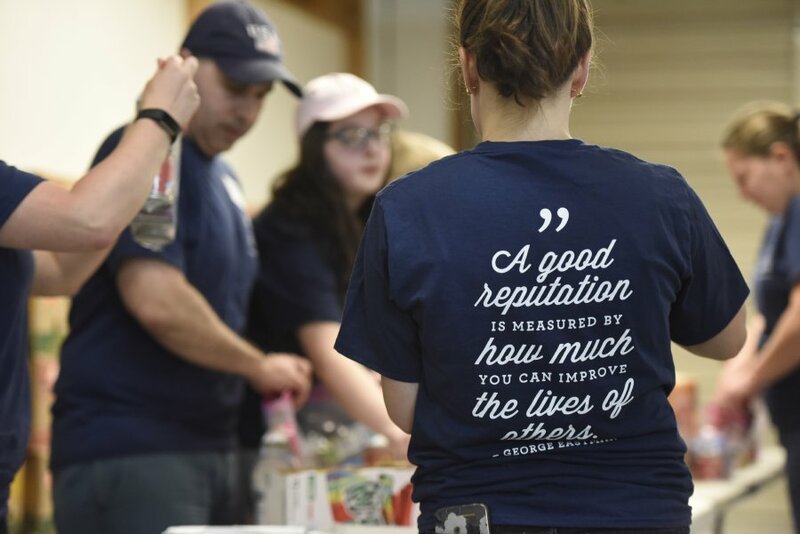 Known on the River Campus since 1988 as Wilson Day, named after the family of Joseph C. Wilson ’31, and George Eastman Day of Service at the Eastman School of Music after George Eastman, this has instilled a tradition of service within the University community.